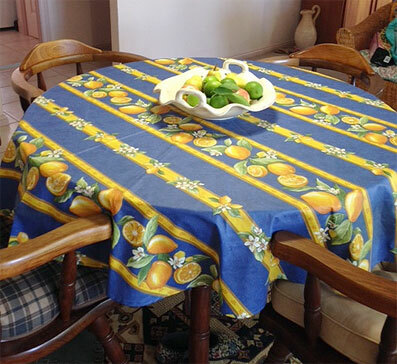 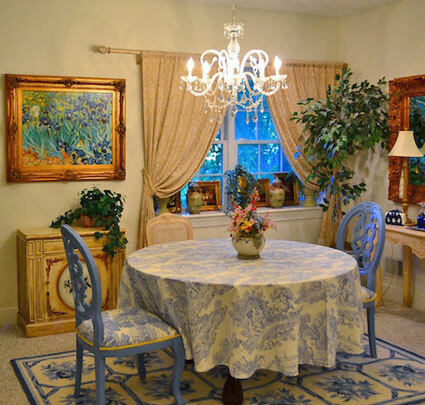 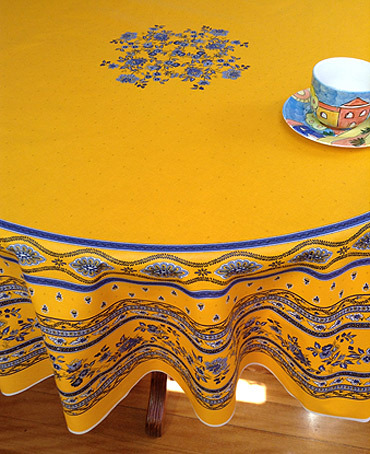 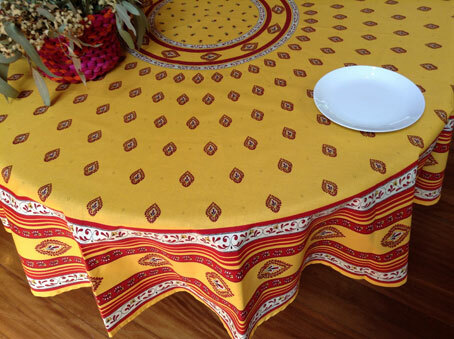 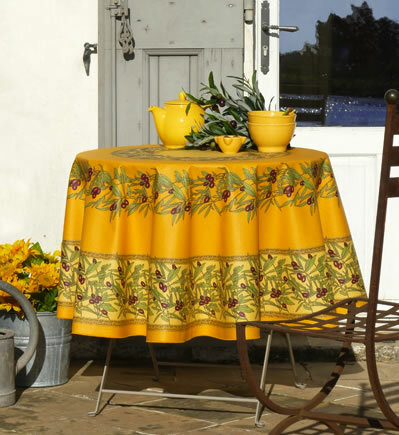 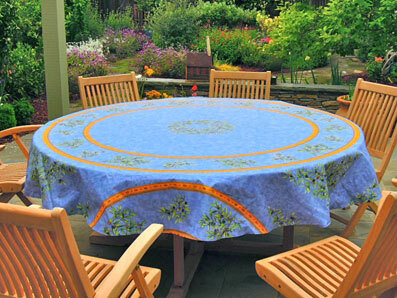 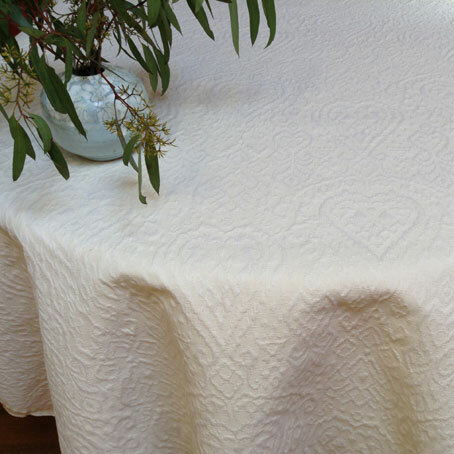 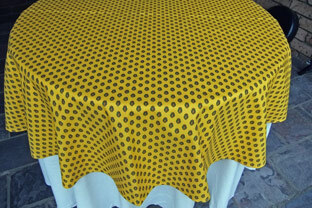 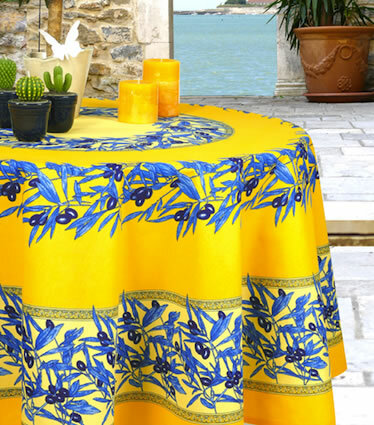 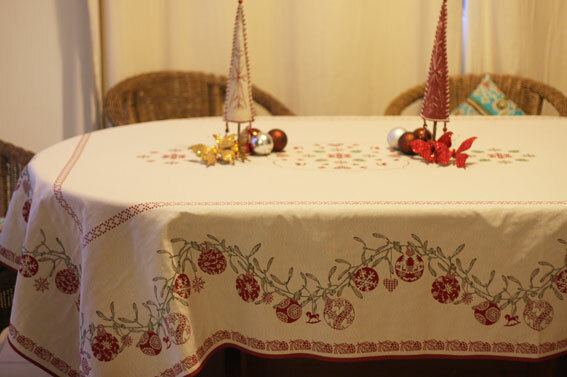 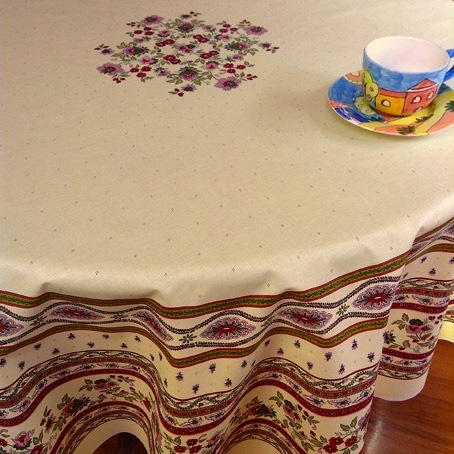 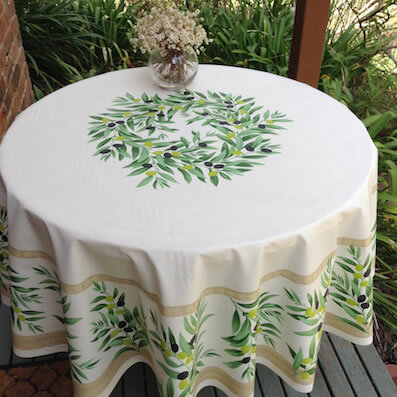 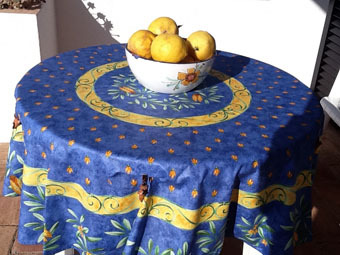 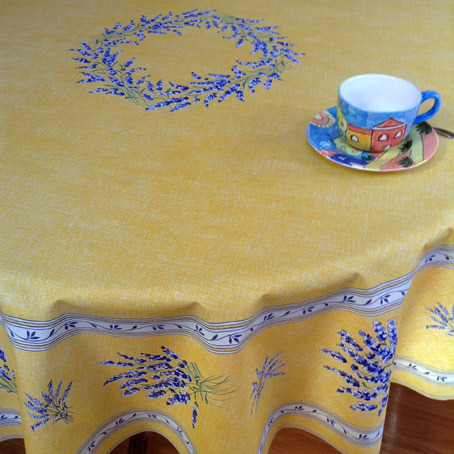 We make large and small round and square tablecloths in coated fabrics, cotton, Jacquard or Pique fabrics, from card table cover to very large round banquet tablecloths. 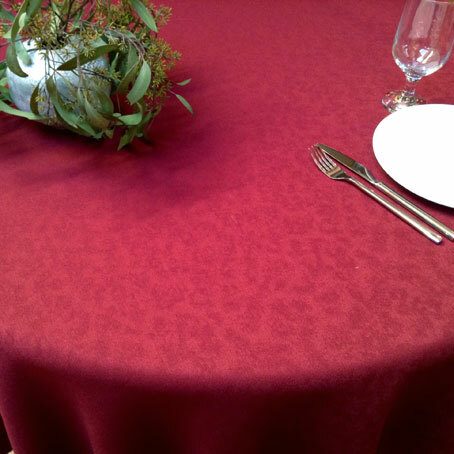 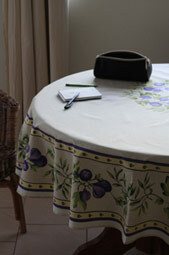 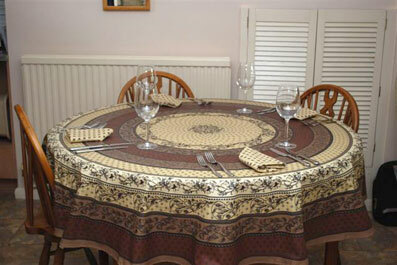 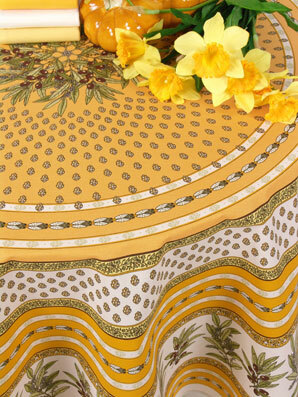 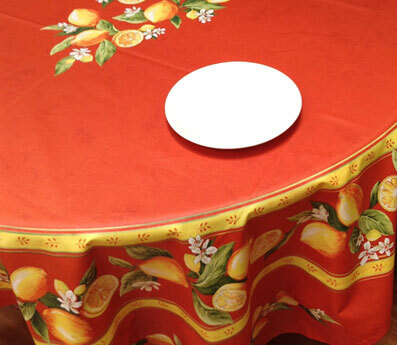 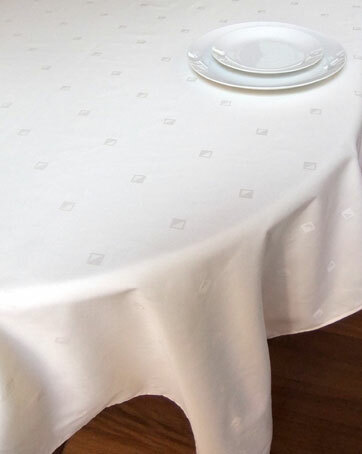 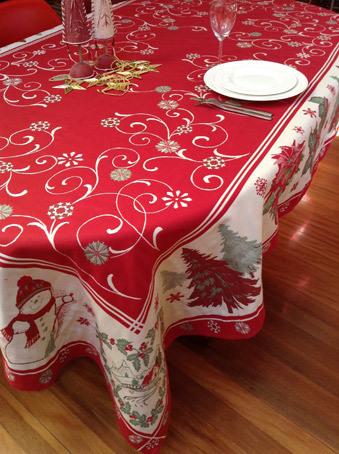 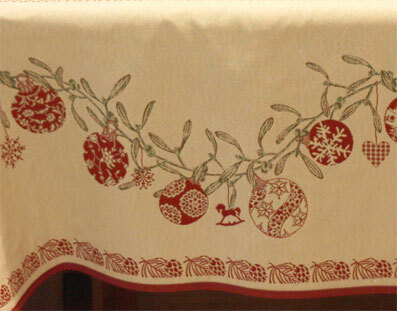 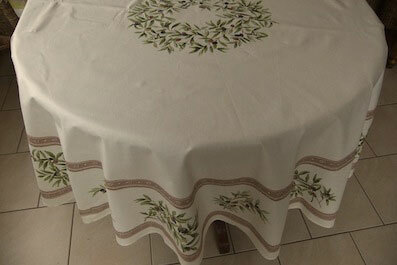 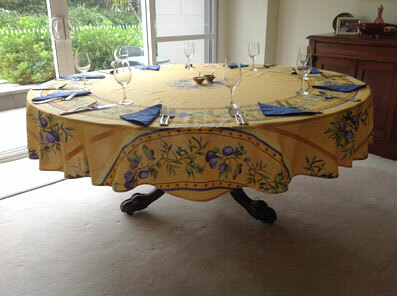 We have a large selection of 70" round cloths and specialise in 90", 100", 110" and over large round tablecloths. 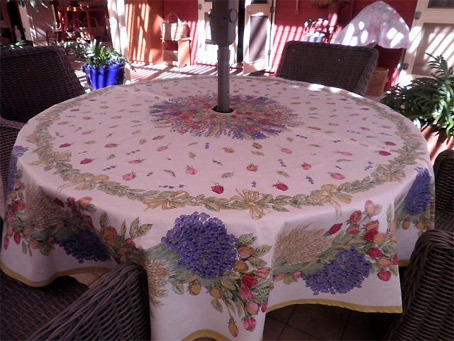 30" 36" 42" 48" 54" 60" 66" 72" 78" 84"
Diameter 54" 60" 66" 70" 78" 84" 90" 96" 102" 110"
Also available in 230 cm / 90in round size. 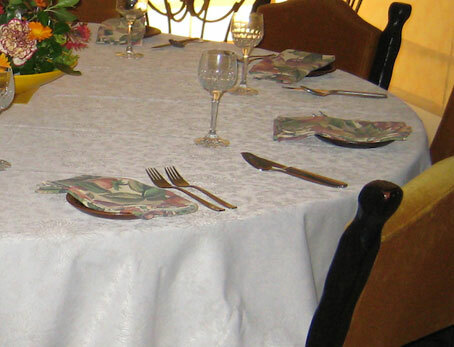 Ask for a quote. 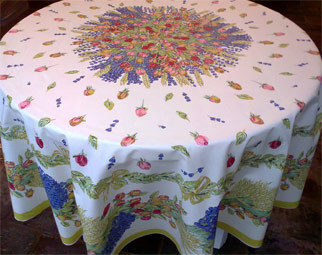 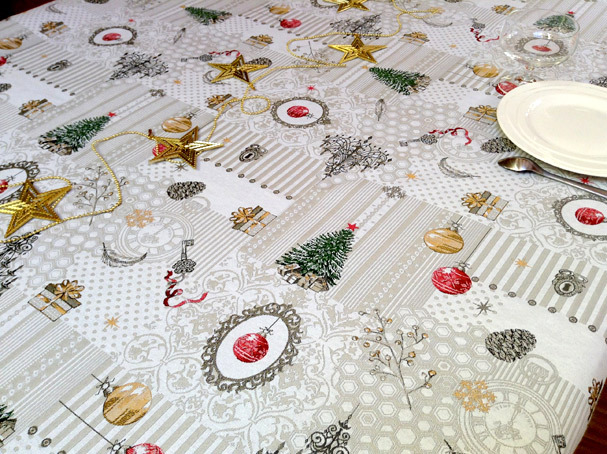 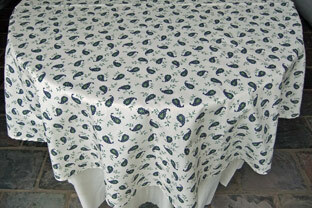 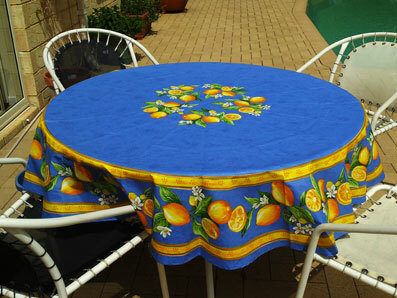 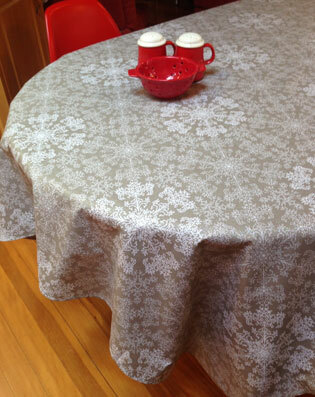 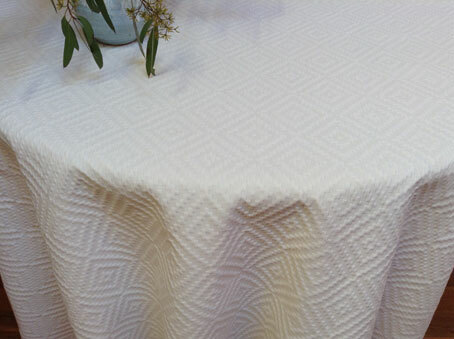 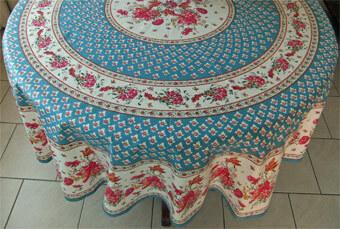 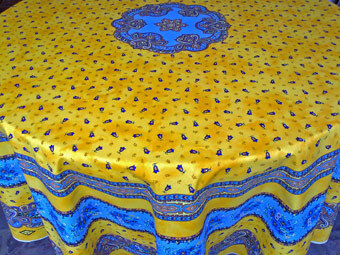 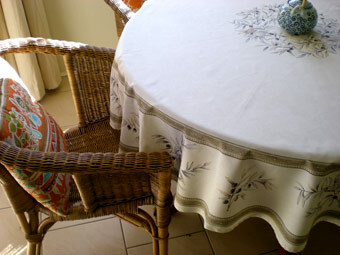 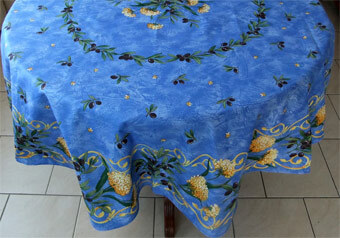 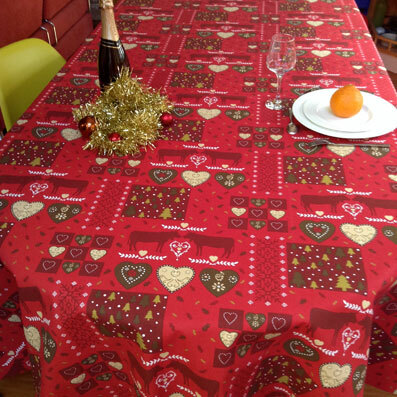 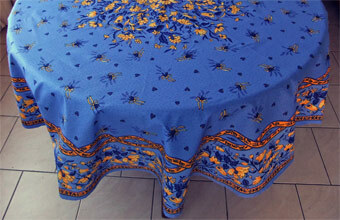 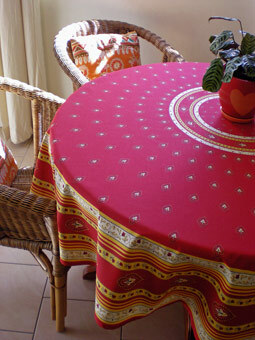 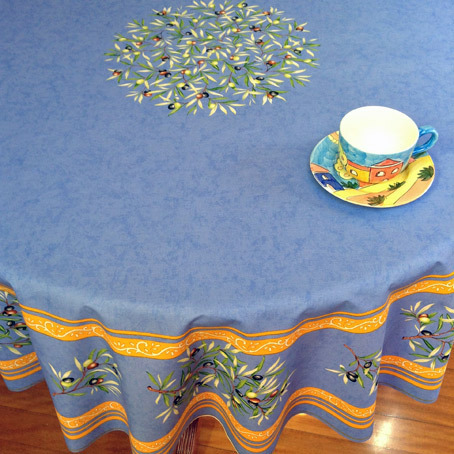 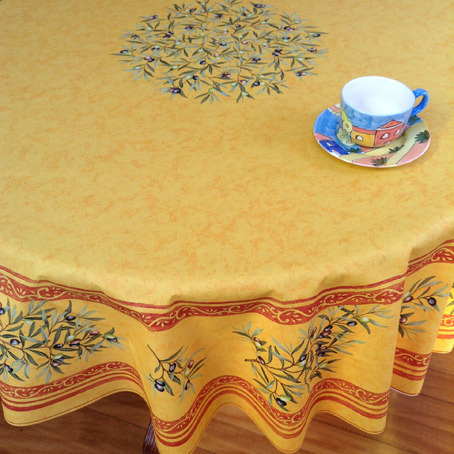 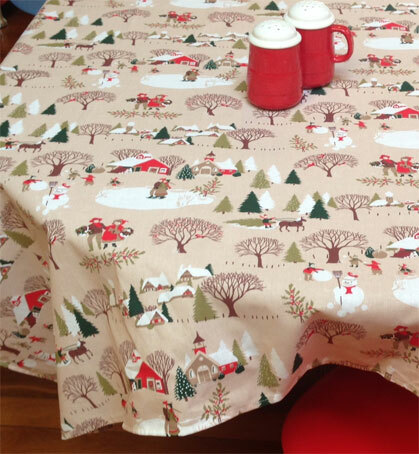 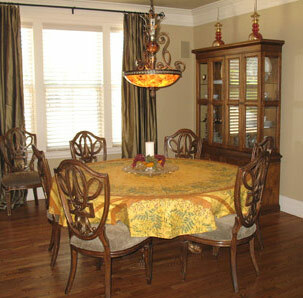 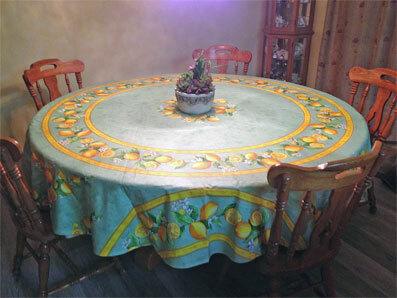 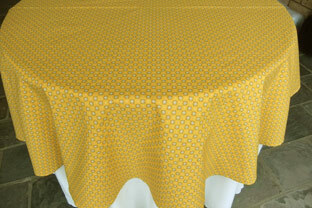 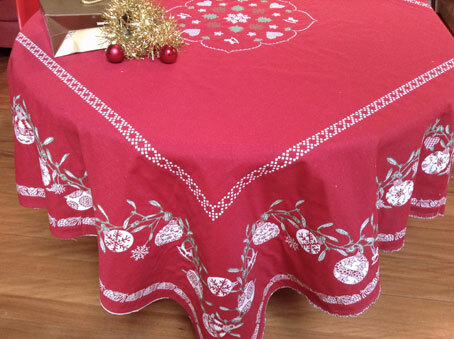 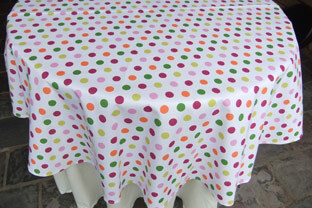 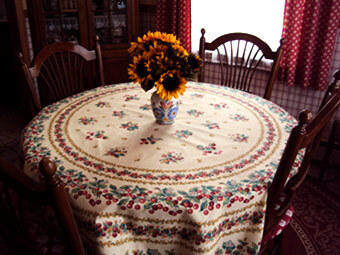 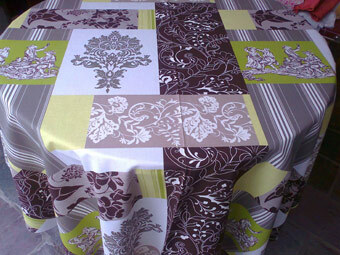 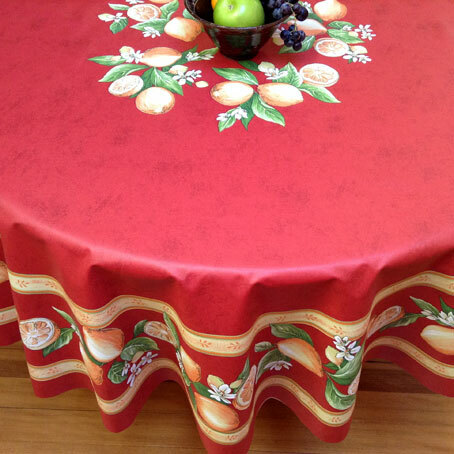 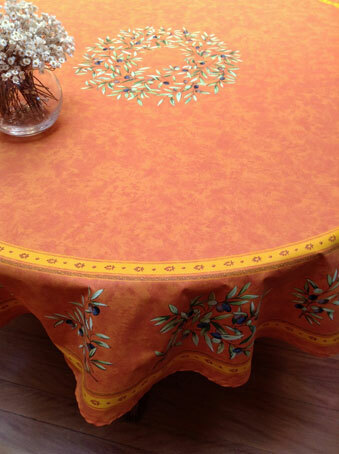 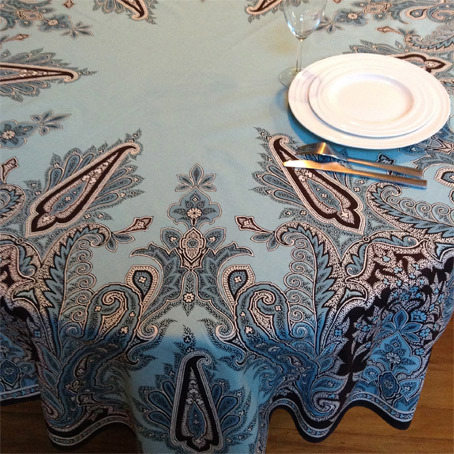 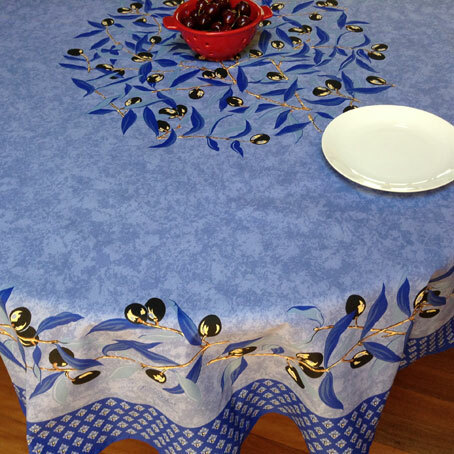 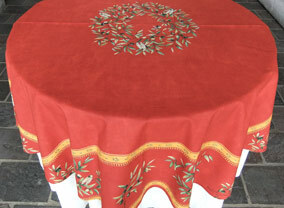 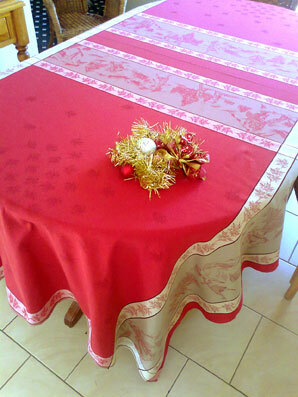 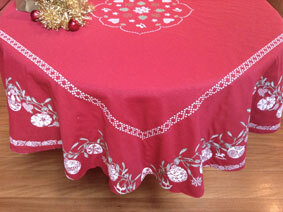 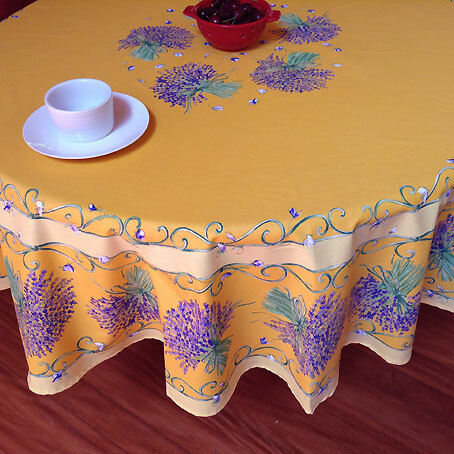 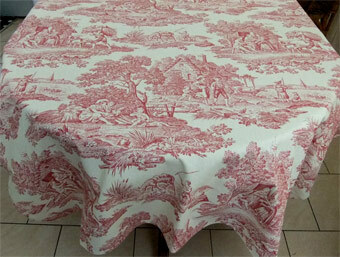 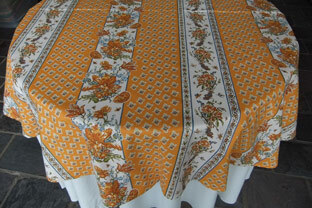 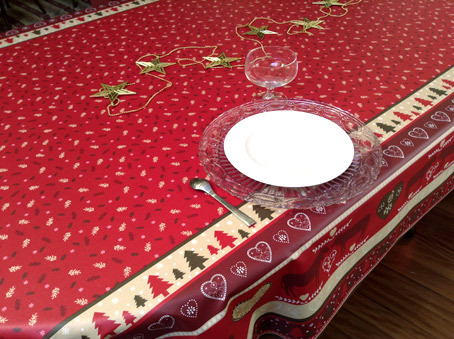 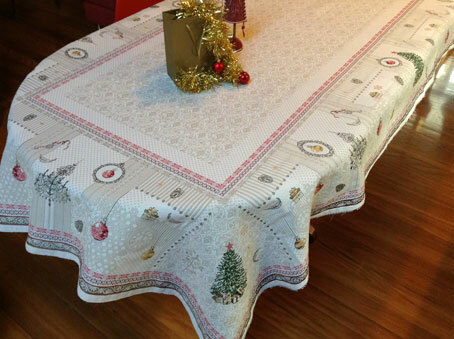 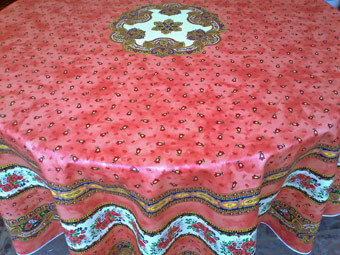 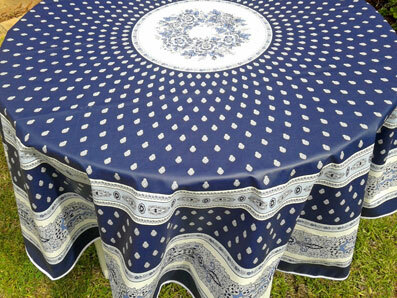 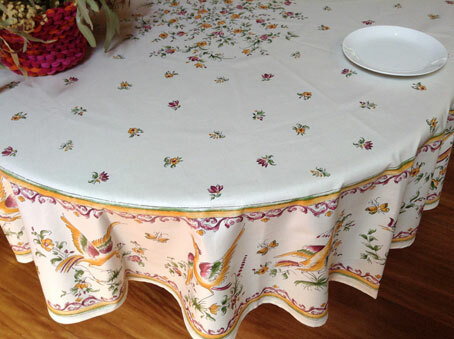 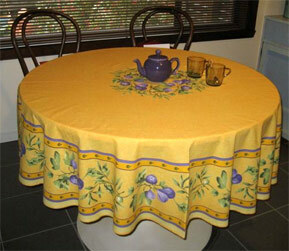 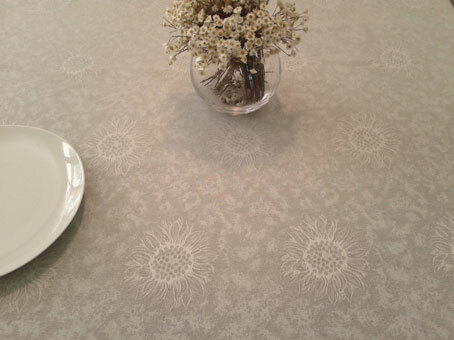 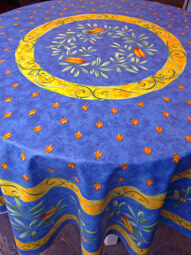 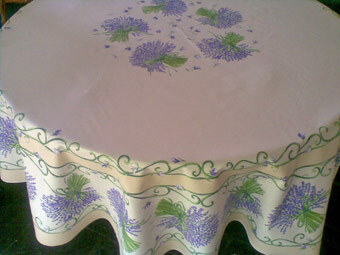 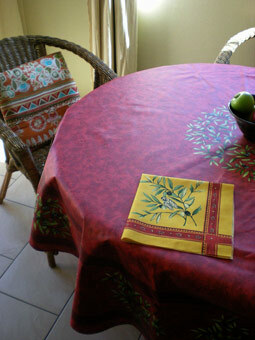 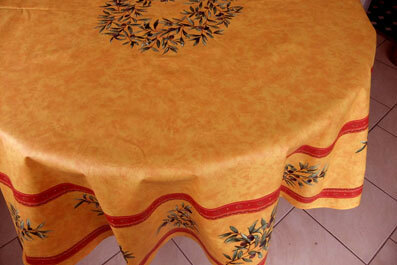 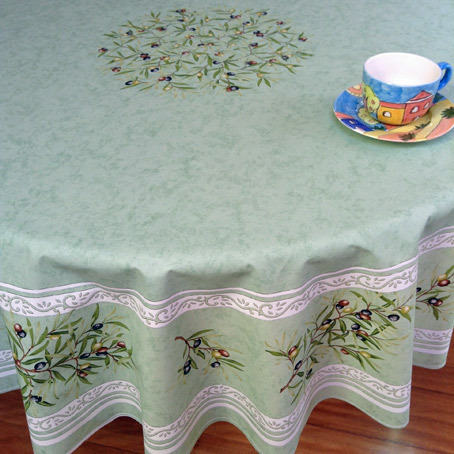 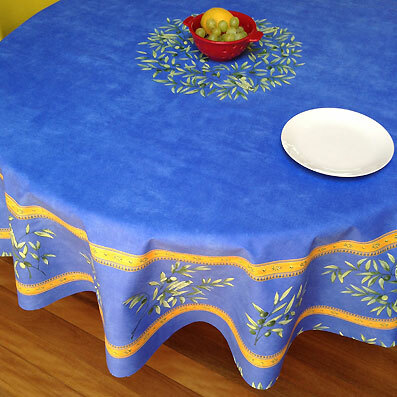 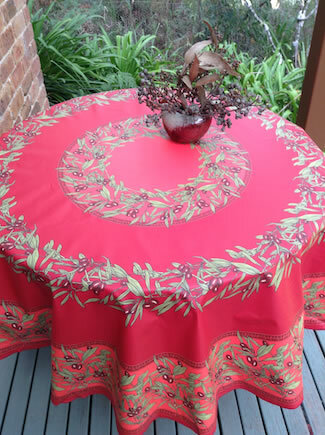 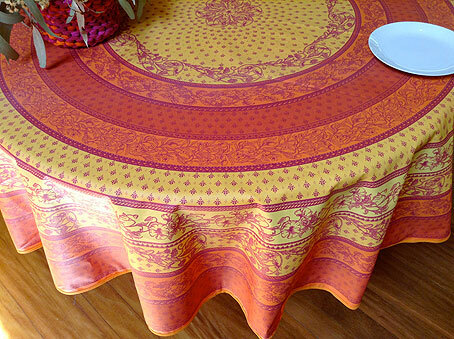 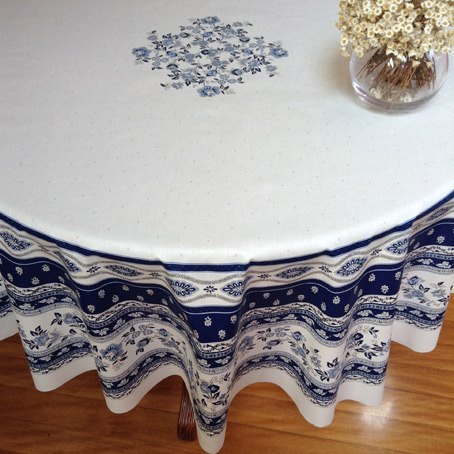 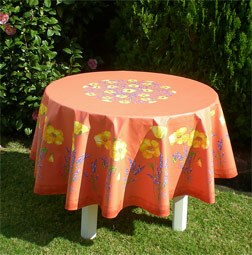 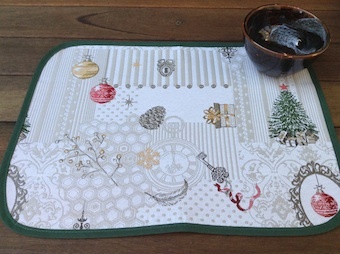 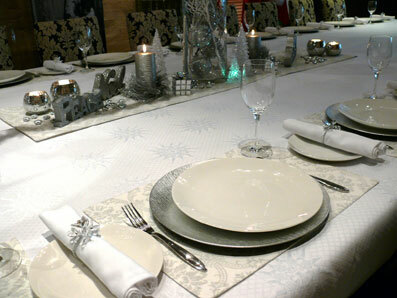 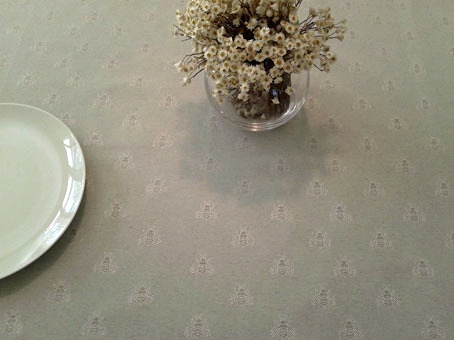 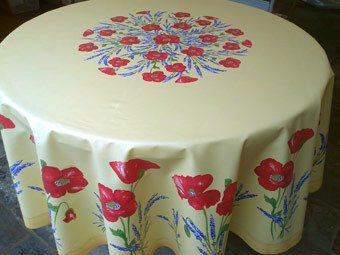 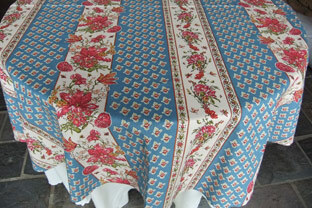 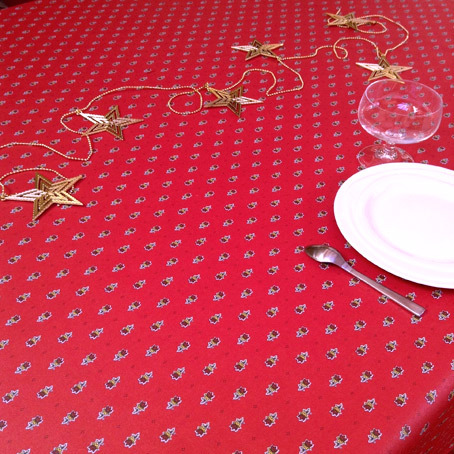 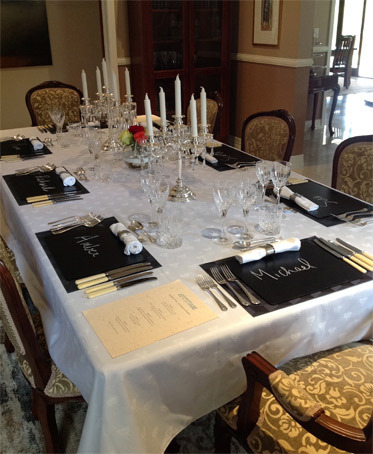 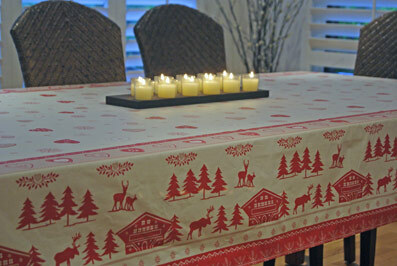 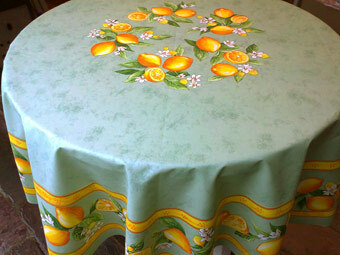 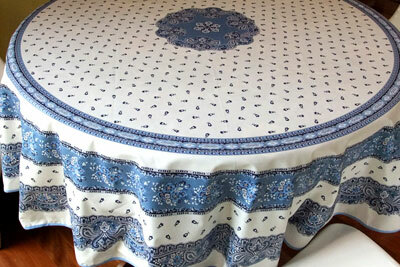 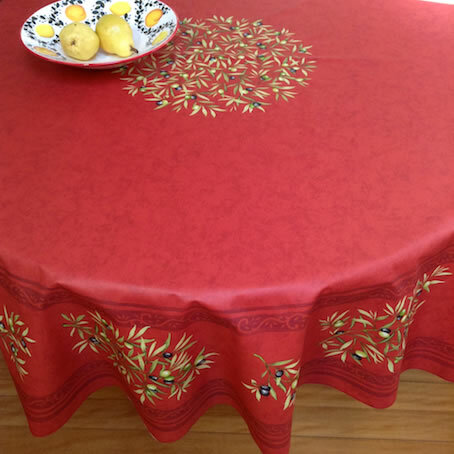 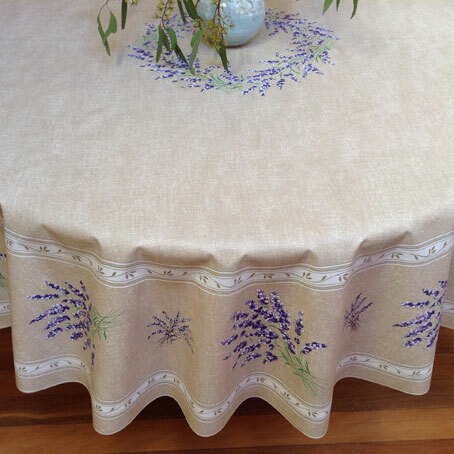 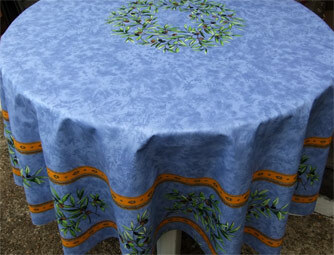 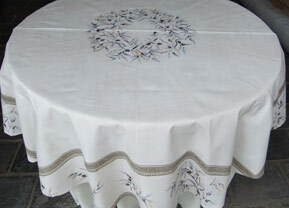 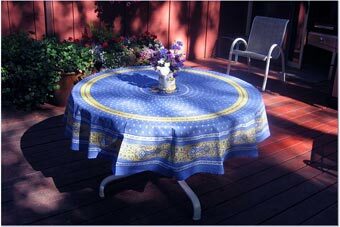 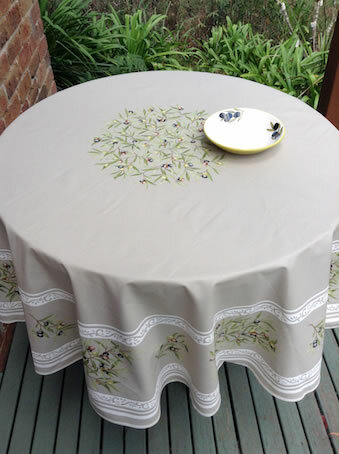 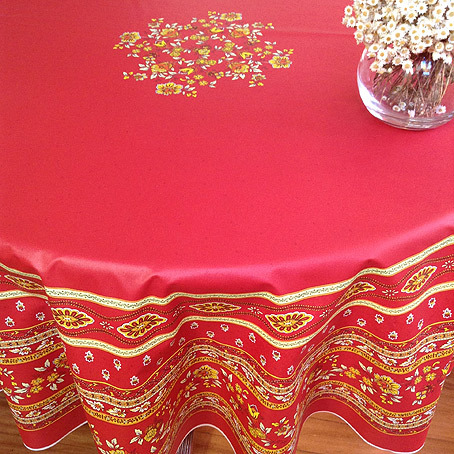 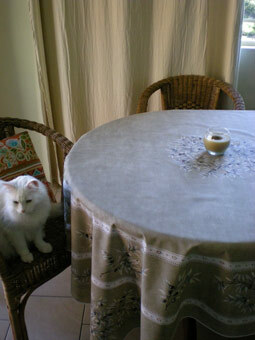 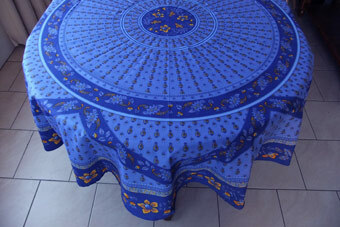 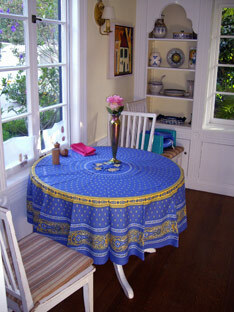 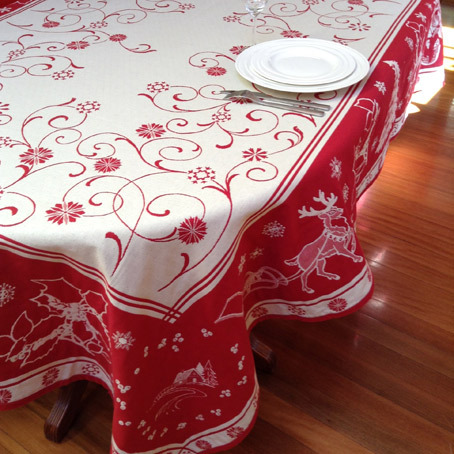 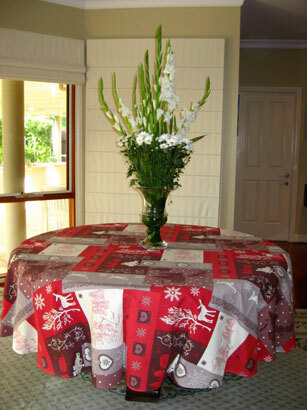 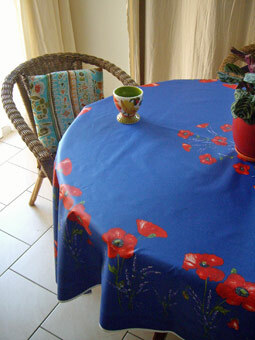 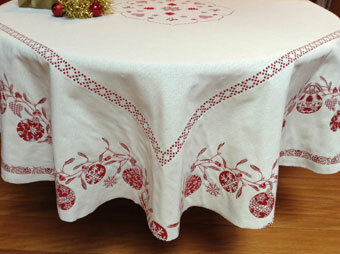 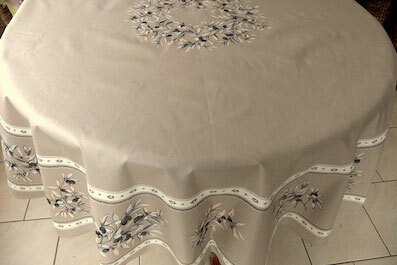 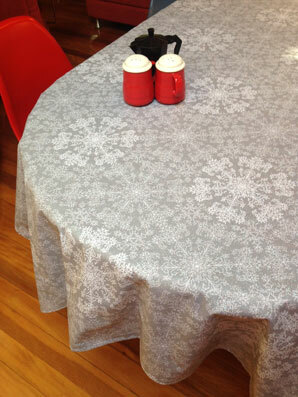 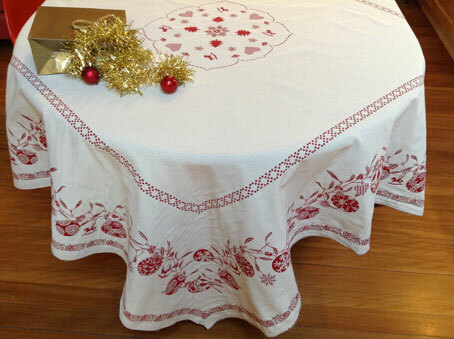 We can make "umbrella friendly"
any round or rectangular tablecloth. 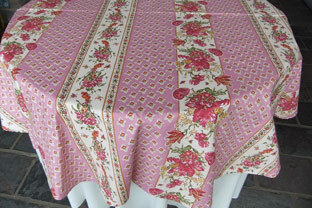 We can make "umbrella friendly" any round or rectangular tablecloth. 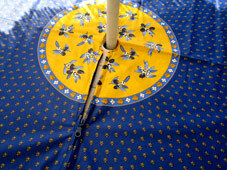 the umbrella pole when you set up your garden table. 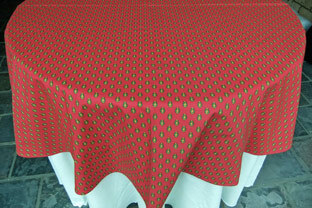 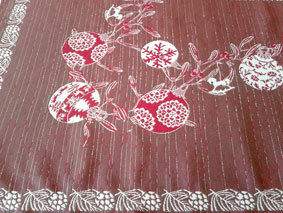 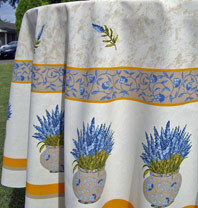 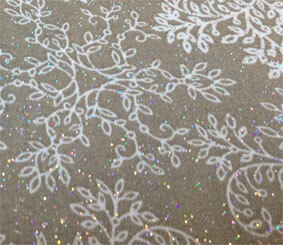 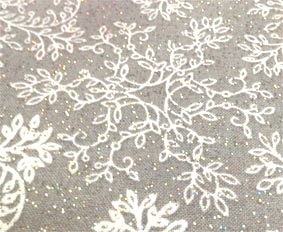 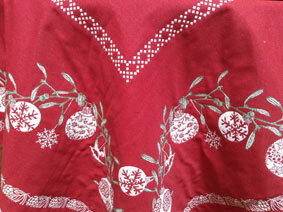 This fabric is 110 in wide, we can make very large round cloths. 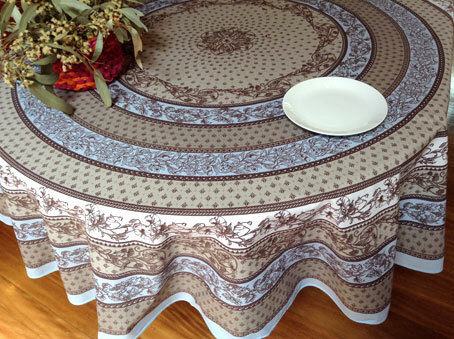 Note: This design is also available in white.